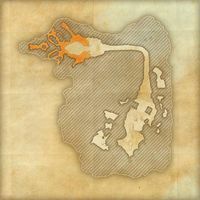 The Dwarves tapped the heat at the heart of Nirn for many purposes. They used steam to warm their subterranean cities and to motivate their devices. To forge their superb metals, they needed such intense heat that it could only come from molten lava. The ruin consists of two zones, the Earth Forge and Pressure Room III. The crafting site for making Kagrenac's Hope set pieces can be found in the heart of the Forge, where the Prismatic Core was forged. 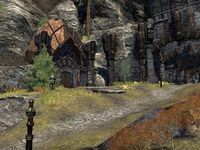 The Orgnum's Scales set can be crafted in Pressure Room III, the entrance to which is outside the interior ruin, to your left as you face it. A note From Jofnir to Merric lies on the ground near the crafting site. 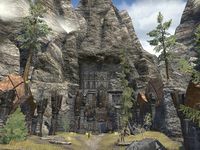 The Earth Forge can only be accessed via the portals in the Evermore, Rawl'kha and Riften Fighters Guildhalls. 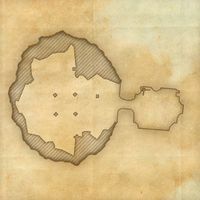 The Earth Forge — Located south of the entrance to the Earth Forge. Several Guild Blades reside in the ruin. 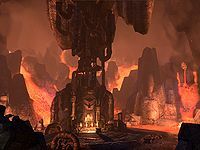 During The Prismatic Core you will enter a solo version of the Earth Forge where you will need to defend the Earth Forge against Molag Bal's undead minions. In the Will of the Council, you will return to the forge when preparing the final assault against the Mortuum Vivicus, and again afterwards, but no enemies will appear during these visits. This page was last modified on 16 November 2018, at 05:53.